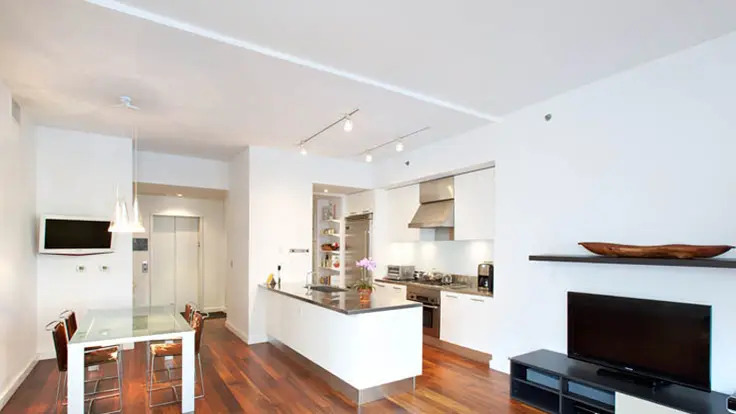 This attractive, 11-story residential condominium building at 304 Spring Street on the southeast corner at Renwick Street in the Hudson Square neighborhood in Lower Manhattan was completed in 2008. The dark gray-brick and glass tower was developed by Peter Moore and Mark Mancinell and was designed by Zakrzweski & Hyde Architects. It is free-standing. 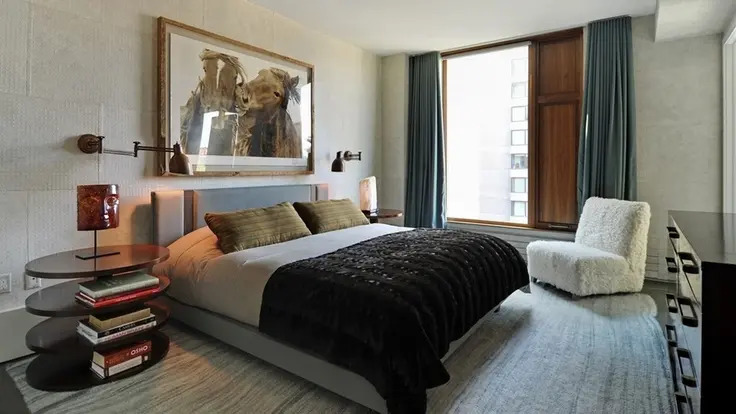 The building has two-setbacks and wide beige panels on its façades and contains 13 apartment one- and two-bedroom apartments with home offices. It is not built full on its site to give it a private courtyard and entrance and more light and air. 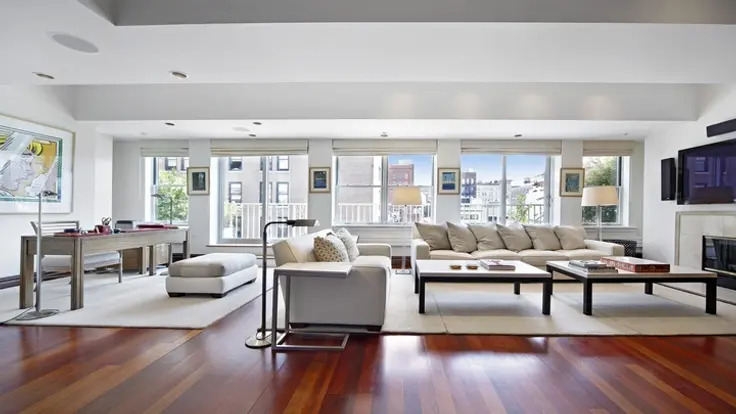 The floor-to-ceiling windows, many of which are corner windows, have stainless steel trim on the exterior and walnut wood shutters on the interior. 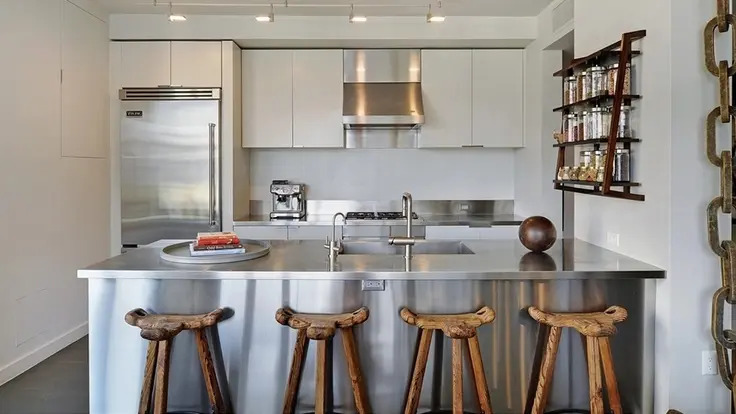 According to Stas Zakrzewski, "the irregular rhythm on the façade results in the unpredictable framing of the city and Hudson River with views unique to each apartment." 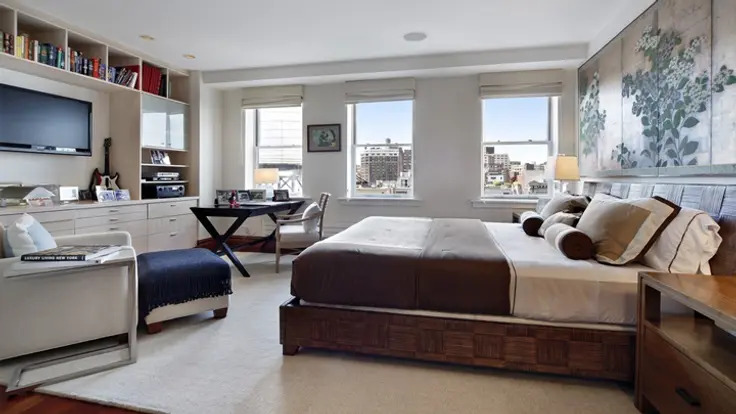 Two bedroom apartments with two baths range in size and price initially from $1,976,000 for a unit with 1,520 square feet to $3,342,600 for a unit with 1,857 square feet. The building has an attended lobby, private key-locked elevator entry, ceilings that range from 9 to 10 feet, 8-foot-high windows, Ambienti Italia-design kitchens with Viking refrigerators, Bosch appliances and bathrooms with Kohler cast-iron tubs and Waterworks and Pietra Serene bathroom tile. 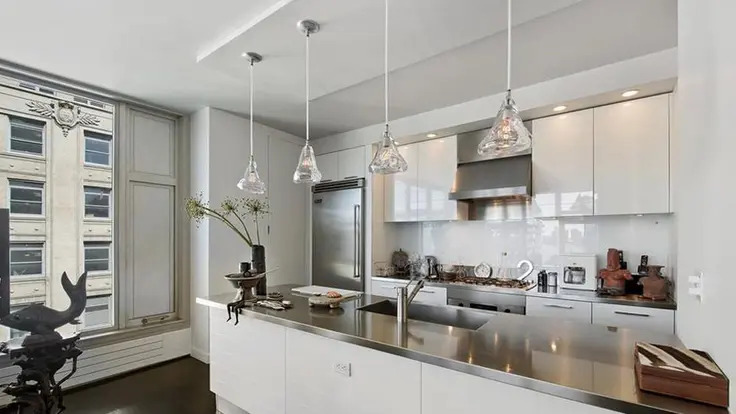 It is one of several new, distinctly modern projects in and around Hudson Square, an area that straddles the Far West Village, SoHo and TriBeCa neighborhoods. 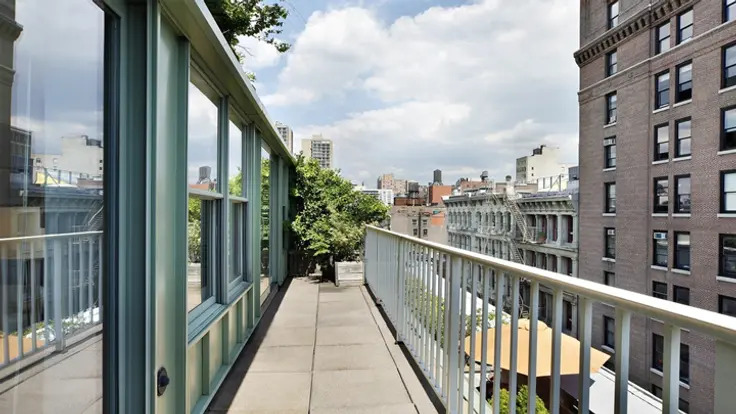 A block and a half to the west is The Urban Glass House at 328 Spring Street was designed by Philip Johnson and Alan Ritchie and Nino Vendome. A half block to the east is 505 Greenwich Street was designed by Gary Handel & Associates for Metropolitan Housing Partners and Synchron Corporation and just to the south of that building is 497 Greenwich Street was designed by Winka Dubbledam for Jonathan Carroll. 304 Spring Street is also just to the west of a new 7-story redbrick building with bay windows and balconies at 300 Spring Street. 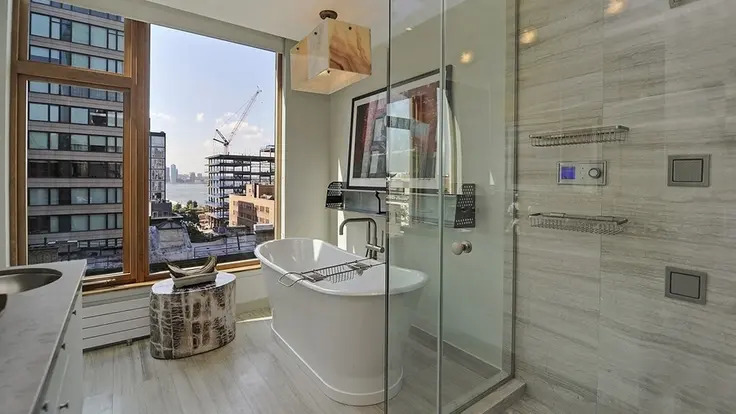 The building is close to the Hudson River, the Holland Tunnel and the SoHo and TriBeCa districts. It is also close to the site of a controversial new Department of Sanitation garage. An article by Albert Amateau in the Feb. 11-17, 2009 edition of The Villager noted that "The neighborhood groups opposed to the Department of Sanitation s proposed three-district garage on Spring St. filed a lawsuit on Feb. 3 to block the $500 million project proposed for the UPS property between Washington and West Streets." "In addition to the Sanitation Department and the City Planning Commission as defendants," the article continued, "the lawsuit names the Hudson River Park Trust, the state and city agency scheduled to take jurisdiction of the Gansevoort Peninsula where Sanitation facilities are currently located. The suit seeks to set aside a 2005 settlement agreement that requires the city to relocate all of its Sanitation facilities and salt shed from the peninsula to Spring St. by 2013, claiming that alternative sites for the new Sanitation Department garage have not been adequately considered. The suit filed in State Supreme Court also seeks to set aside the 2008 City Council and City Planning Commission approval of Sanitation's Spring St. project on the grounds that the three-district facility is a violation of the City Charter's Fair Share Criteria." 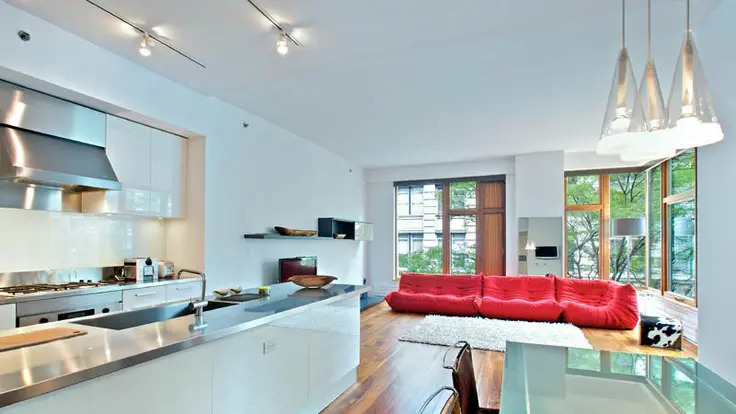 The suit was brought by this building, the Urban Glass House Condominium, 530 Canal Street Realty Corporation, TriBeCa Community Association, Canal West Coalition, Canal Park Conservancy, and the St. John's Center, the blocks-long, four-story building covering 4 acres and enclosing more than 1 million square feet of rentable space at 340 West St., just north of the Sanitation site, among others. 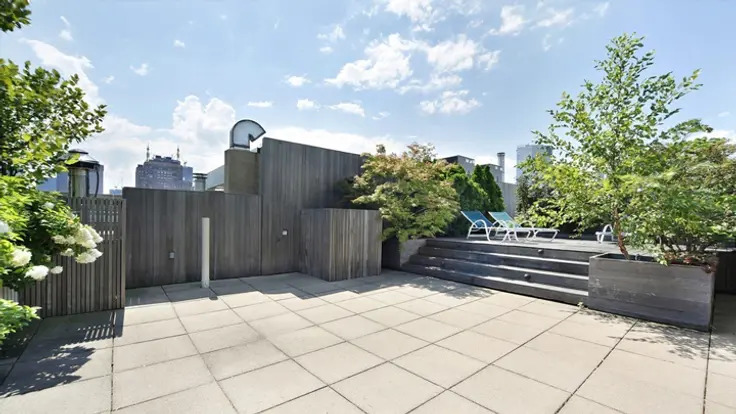 The civic groups even sponsored an alternate design for lower garage structure with a landscaped roof with botanical garden, play and picnic areas designed by Zakrzewski Hyde. 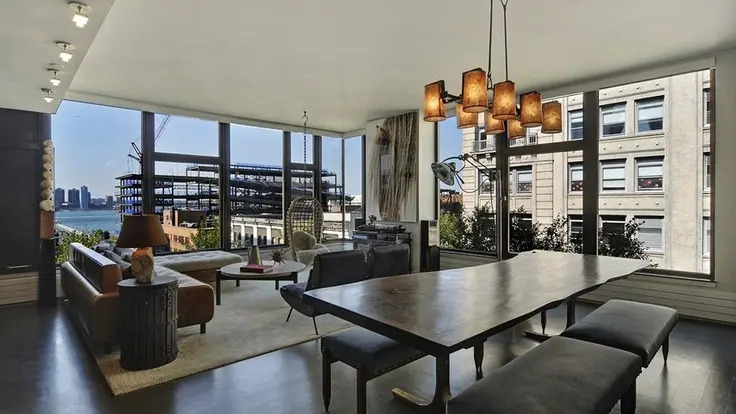 On February 27, 2009, curbed.com reported that "the gorgeous duplex penthouse...with private roof deck, is listed at $6.75 million, but a 'professional basketball player' was in contract to buy it for $7.8 million (it hit the market at $9.25 million in 2007). In October he backed out, forfeiting the $780,000 deposit (ouch!) 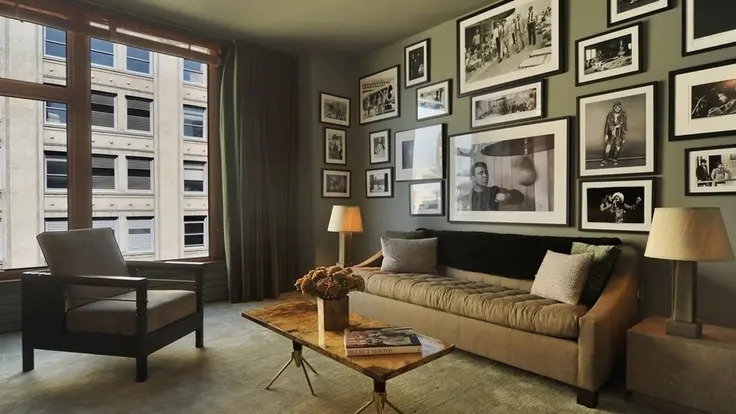 and now the developer will sell the apartment in a sealed-bid auction in March, with a starting bid of $4.995 million." 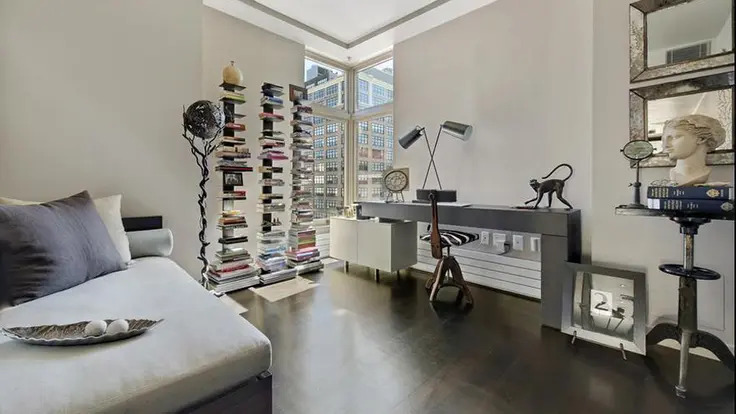 That unit, which a double-height living room and a fireplace, sold for $4,995,000 in August, 2009. 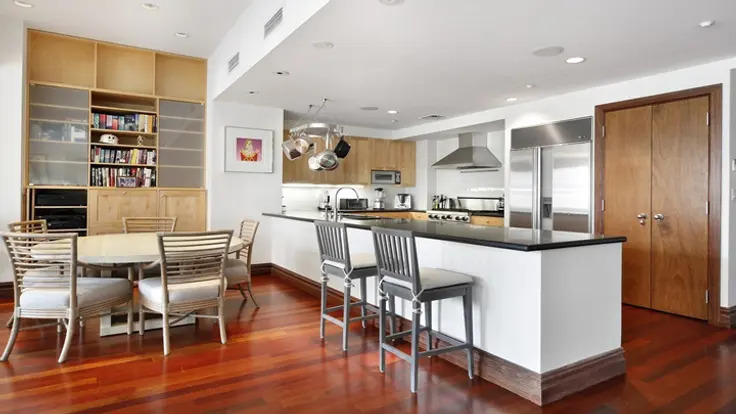 The Lofts of Greene Street at 103 Greene Street Condominium feature apartments with ceilings up to 14 feet high and 36-foot-wide floor plans. 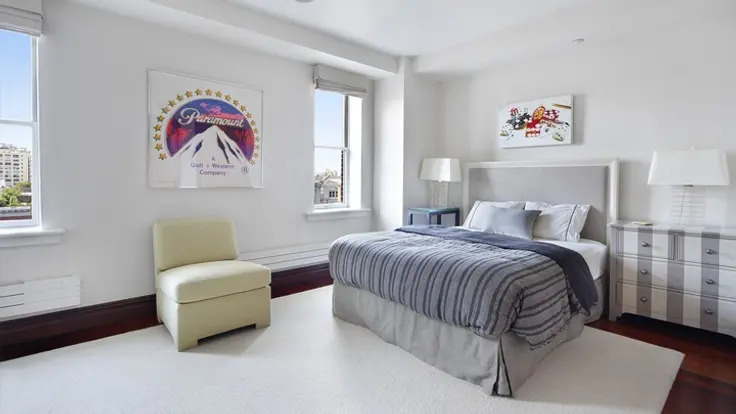 One of the few full-service condominiums in SoHo, it has a 24-hour concierge and doorman and full-time maintenance staff. The project, which has a very handsome cast-iron façade, consists of two structures, 101 Greene Stret and 103 Green Street, both built in 1879. 101 Greene Street was destroyed, however, in a fire in 1950 and the developers used the façade of 103 Greene Street as a "mold" to create a new façade for 101 Green Street, the first new cast-iron replicated in SoHo in more than 100 years. There is only one apartment per floor. 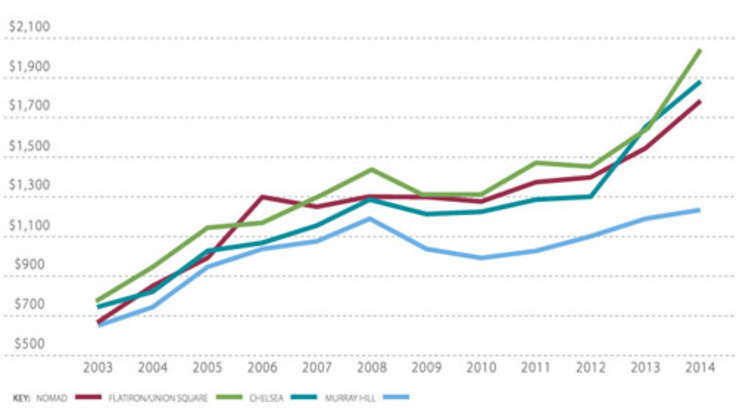 This is a prime location in SoHo close to many boutiques, art galleries and restaurants. The Lofts of Greene Street have 12 units.